The Center on Poverty and Inequality works with policymakers, researchers, practitioners, and advocates to develop effective policies and practices that alleviate poverty and inequality in the United States. The Center’s areas of anti-poverty work include national, state, and local policy and program recommendations that help marginalized girls, promote effective workforce and education policies and programs for disconnected youth, and develop policy to combat deep poverty. Our strategies are to partner with Administration agencies and non-profit organizations to host national conferences, produce and widely disseminate in-depth reports, engage in public speaking, and participate in national coalitions and working groups. The Center on Poverty’s Initiatives comprise our two main areas of focus: The Initiative on Gender Justice and Opportunity and the Economic Security and Opportunity Initiative. 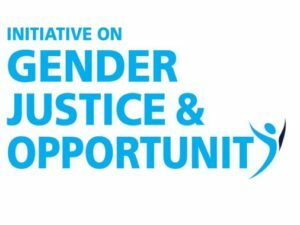 The Center's Initiative on Gender Justice and Opportunity focuses on supporting low-income girls and girls of color. The Initiative’s work identifies barriers to girls’ health and well-being, elevates girls’ unique assets and needs, and develops solutions to better support girls in our public systems. 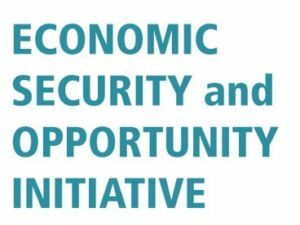 The Center's Economic Security & Opportunity Initiative’s mission is to expand economic inclusion for all of the United States through rigorous research, analysis, and ambitious ideas to improve programs and policies.